Bell Labs set a new broadband Internet speed record that could change the need for Internet providers to bring fiber to the home. Bell Labs researchers just broke the broadband Internet speed record. 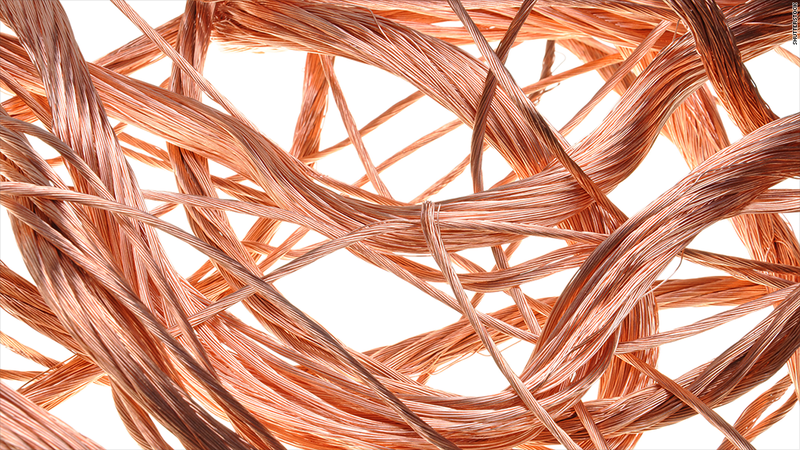 It is eight times faster than the previous record -- and it was done over copper landlines. With speeds of 10 gigabits per second, Bell Labs' technology proved to be 1,000 times faster than traditional broadband speeds. It is even 10 times faster than Google (GOOGL) Fiber, which offers the fastest broadband available to consumers. Alcatel-Lucent (ALU), Bell Labs' parent company, dubbed the new technology "XG-FAST." The company called it a "major breakthrough," giving broadband companies the ability to provide fiber-optic-like speeds over the existing copper landline infrastructure that blankets most of America. Verizon (VZ) FiOS, Google Fiber and others have sought to bring ultra-fast fiber connections directly to people's homes. But the process is extremely expensive, and often involves digging up homeowners' yards. Providing fiber to the majority of American households could cost hundreds of billions -- or even trillions -- of dollars, depending on various estimates. But Netflix (NFLX) and other bandwidth-hungry applications are forcing broadband providers' hands. Video over the Internet is cramping networks and slowing connection speeds. Realizing they need a bigger pipe to carry all the data that customers demand, companies like Comcast (CMCSA) and AT&T (T) have increased the amount of fiber they use in their networks -- but they still use old-fashioned telephone lines and copper wires to bring Internet, TV and phone service to their customers' homes and offices. XG-FAST could potentially make it unnecessary to bring expensive fiber for ultra-high-speed Internet. Bell Labs says that XG-FAST can provide up to 10 gigabits per second over a distance of up to 30 meters. So if there is a fiber connection on the street, it would be sufficient to deliver lightning-fast Internet over a home's existing landline wires. For big buildings, fiber could be brought into the basement without needing to route it to individual apartments or offices. "The Bell Labs speed record is an amazing achievement," said Federico Guillén, president of Alcatel-Lucent's fixed networks business. "Bell Labs is offering the telecommunications industry a new way to ensure no customer is left behind when it comes to ultra-broadband access." Though the research is exciting, don't expect your cable provider to start offering 10 Gbps speeds anytime soon. Bell Labs' test was done in -- you guessed it -- a lab. In the real world, there are plenty of factors that can reduce Internet speeds traveling over copper lines, including the thickness of the cable, signals picked up by other nearby cables and the length of the wire. The technology also has yet to be approved by the standards-setting International Telecommunication Union. Still, the promising new technology could help America achieve much faster broadband speeds that many other developed countries are already enjoying today.